All the documents below are in PDF form. If there is a dead link or you cannot find what you are looking for, please contact Communications Officer Riley Sweeney by clicking here or calling (360) 685-2353. All building forms can be found at the City’s new SmartGov Online Permit Center. If you do not see the specific Building Permit Application you are looking for, please contact the Permit Specialist via email or telephone at (360) 685-2378. Encroachment Permit Application – Please upload completed applications to our new SmartGov Online Permit Center. 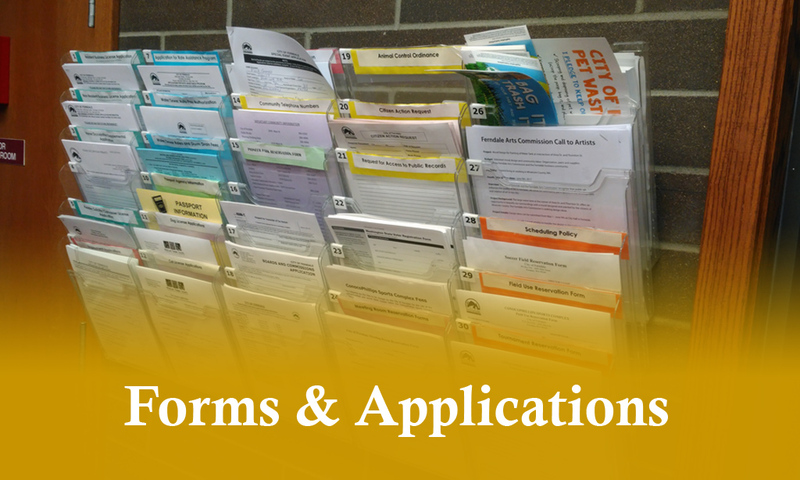 Land Disturbance forms can be found at the City’s new SmartGov Online Permit Center. All planning forms can be found at the City’s new SmartGov Online Permit Center. If you do not see the specific Planning Application you are looking for, please contact the Planning Coordinator via email or telephone at (360) 685-2359.